100% Colombian - Smooth, clean, medium body, Tangy with a crisp aftertaste, Medium roast. Light body, Mellow, but full flavour and aroma, Light roast. Blend after roast, full-bodied coffee, distinct flavour, smooth and delicious. Medium Roast. Smooth, rich, medium body, lively, with a distinctive flavour. Medium Roast. 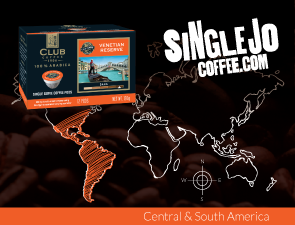 Rich, full-bodied, complex, chocolate flavour. Dark Roast.